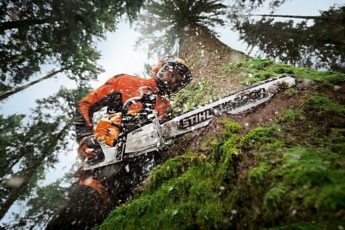 When you buy a STIHL tool, you know that you’re investing in one of the most precisely engineered, high performance power tools available. So you need to know how to make sure your tool performs to its potential – and one way of doing this is knowing the best fuel to use for it! 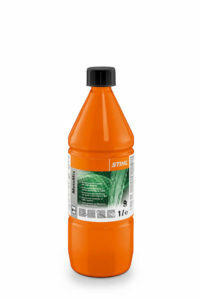 STIHL MotoMix is a hassle-free formula made up of a combination of specially created fuel premixed with HP Ultra oil. This means you don’t have to worry about measuring the two fluids before mixing them together as it’s already been done for you in exactly the right proportions! MotoMix is clean, convenient and ready to pour into your tools, so you can start working in no time at all. MotoMix has been ‘mixed’ with a 50:1 ratio of premium quality fuel and STIHL’s HP Ultra oil. It’s been designed with STIHL 2-stroke engines in mind so it can give you the great performance you’ve come to expect at all times. MotoMix uses HP Ultra oil which is STIHL’s highest quality 2-stroke oil – meaning it can take on tough jobs with ease. It also gives your engine a much longer service life. This oil helps to keep the engine clean as well. An engine that has used STIHL MotoMix will still look like new even after 500 hours of use! 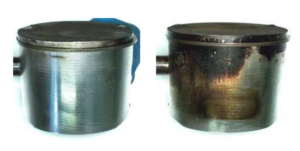 The image on the left shows a piston from a domestic grass trimmer after 50 hours use with HP Ultra oil (which is used in MotoMix), whilst the image on the right shows a piston in the same model after 50 hours use with standard HP oil. Another advantage of MotoMix is that it’s a much cleaner choice than regular fuel. Emission-wise, it’s free from ethanol and has virtually no olefins and aromatic compounds. So when you compare it normal fuel, it’s a much more environmentally friendly option. 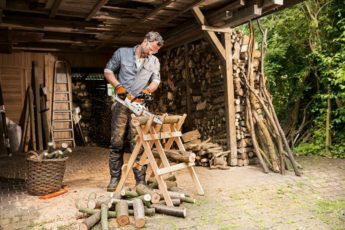 Did you know that STIHL MotoMix fuel can stand the test of time? You’ll need to keep it in a dry and dark place at an average temperature of 20°C, but when you do that it can last for up to five years! Meaning you won’t have to buy a new batch of fuel if you aren’t using your STIHL tools every day, which makes MotoMix a great economical choice. When it comes to 2-stroke engines, we know how to make the ideal fuel that best suits STIHL machines. 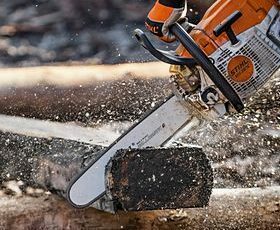 If you are using MotoMix, the way the tool starts, accelerates and runs matches the way STIHL intended the machine to be used. And because of STIHL’s patent, MotoMix can’t be copied, so MotoMix is alwaysthe best option for your machine. And there you have it – 6 reasons why MotoMix is the perfect fuel for STIHL machines! Choosing MotoMix will always give you the best protection and power. 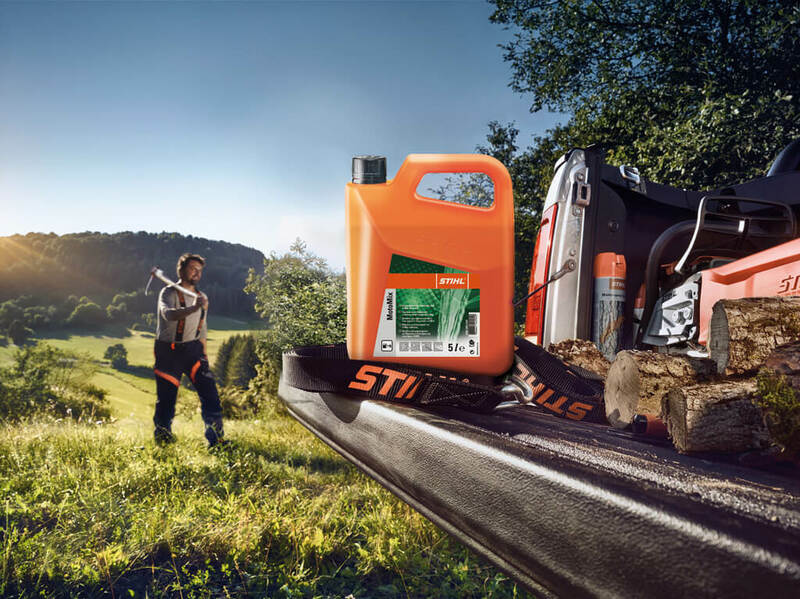 Above all, it’s always worth remembering that STIHL tools are an investment – so why not invest in the best quality fuel for them too? Can you buy Motomix from somewhere that is not a Stihl dealership?